James Brown is one of the most influential musicians of this generation, and he has said as much on multiple occasions. I could ask pretty much anyone I know and they would be able to do a James Brown impersonation, or name a song of his, even if they aren’t a fan of funk music in the slightest. When he died in 2006 (on Christmas Day, no less) it was a massive surprise; I feel like most people thought he would live forever. ‘Get on Up’ is a film about James Brown, obviously, with Chadwick Boseman playing the main role. I hadn’t really heard of Chadwick Boseman before he was announced to be playing Black Panther in the Marvel movies, so I thought this might be a good way to see how he acts. I also don’t know much about James Brown or his life, so ‘Get on Up’ would fix that as well. And after the bland white person party that was the previous film I watched, I needed something with more diversity, which ‘Get on Up!’ had in spades. It was a very interesting story, that made me want to learn more about James Brown’s life than what was shown. There is a biography that I might read at some point. I’m not a fan of characters breaking the 4th Wall (I may have referred to this as ‘breaking the 3rd wall’ when talking about the film to Ben, oops!). 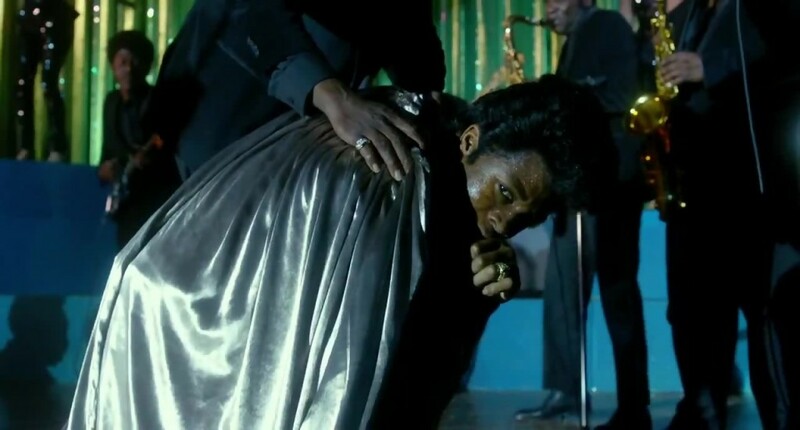 I understand why they did this in ‘Get on Up’, but it’s just a personal preference that I don’t particularly like that narrative technique. The makeup to make the actors look old was pretty dodgy. I don’t think I’ve ever seen ‘old person’ makeup done where it wasn’t really obvious, but there were some closeups where you could see the makeup caked on and it was pretty distracting. This was a film that I felt like I couldn’t really break it down into ‘Good’ and ‘Not-So-Good’ like I have previously, because it was about a person’s life. I can’t just say “I wish they didn’t show the domestic violence” or “this character was pretty sexist” because then it would be omitting parts of James Brown’s life. I’m actually glad that these things were included, even though they made me uncomfortable, because then it showed that the film makers weren’t just showing James Brown in a positive light and trying to pretend his flaws never existed. Because he definitely had flaws – he wasn’t a saint. Yes, he was a very influential person, and it was very interesting to see how much he achieved in his life when coming from such difficult circumstances throughout his childhood and adolescence. It is very understandable for people to look up to him, and I’m not saying they shouldn’t. But he also seemed to be a very difficult person to work for and with, which ‘Get on Up’ doesn’t shy away from. There is a reason so many musicians stopped working with him over the years, and part of that was because he expected others to be as intensely invested in the music as he was, and having unrealistic demands of his backup bands and other employees. He also seemed to have trouble with trusting other people, and was worried about people overtaking or copying him. This makes me wonder how he felt about artists that were very heavily influenced by him, like Prince; was he flattered by this, or did he feel like Prince was copying his style and trying to bank off the James Brown experience? I guess I won’t ever really know unless I look into this, and even then I won’t know the whole story. The film also shows, albeit briefly, how James Brown treated women. He obviously picked up these behaviours from his parents’ abusive relationship with each other, and this resulted in situations shown in the film where he abused his wife. 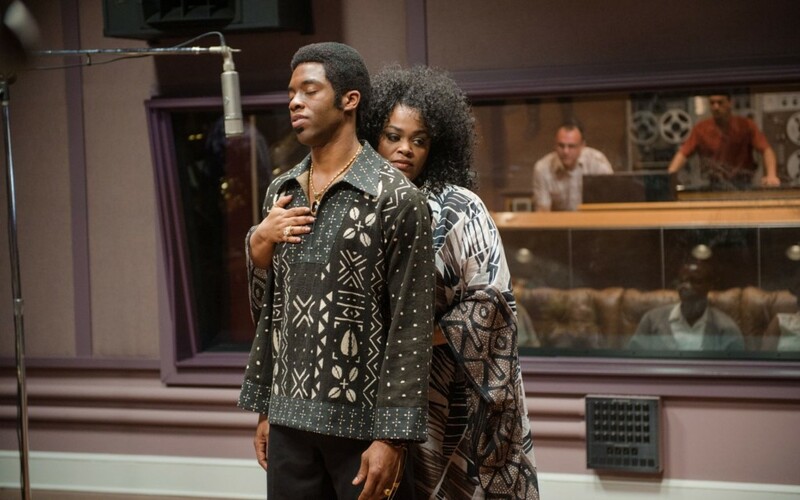 The acting by Jill Scott as James Brown’s second wife was really impressive, showing subtly how she has learned to deal with his mood swings while still showing her fear. Those scenes made me very uncomfortable, which is hopefully the point. 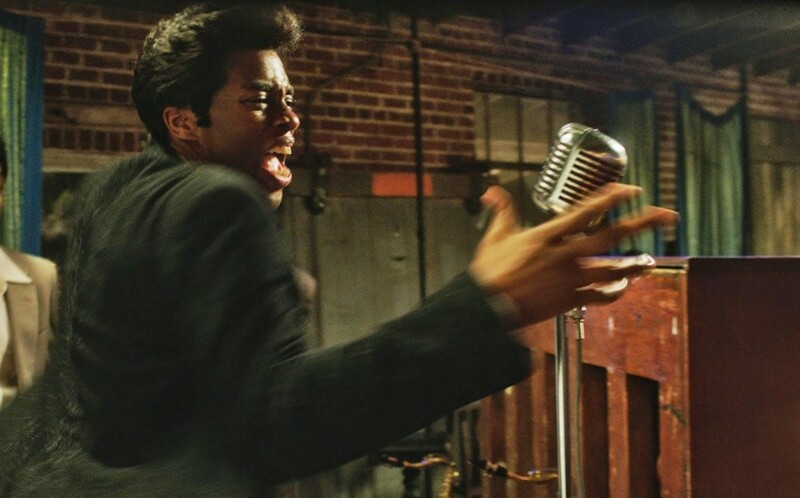 Chadwick Boseman’s acting was also very impressive throughout the film, where most of the time he encapsulated James Brown completely. There were times that it felt like he was doing a James Brown impersonation, rather than acting like the man, but if I’m being honest with myself it felt like James Brown himself was doing a James Brown impersonation as he got older. He built such a strong persona over the years that it would be easy for him to just fall back onto that at times. So on the whole, I did enjoy this film. It made me uncomfortable at times, and didn’t always show James Brown in a good light, but I would have been more annoyed if that wasn’t the case – I feel like stories and films about an actual person should be a balanced depiction, and if that means you see someone you admired in a different light then maybe you will grow as a person and realise that your idols aren’t perfect. 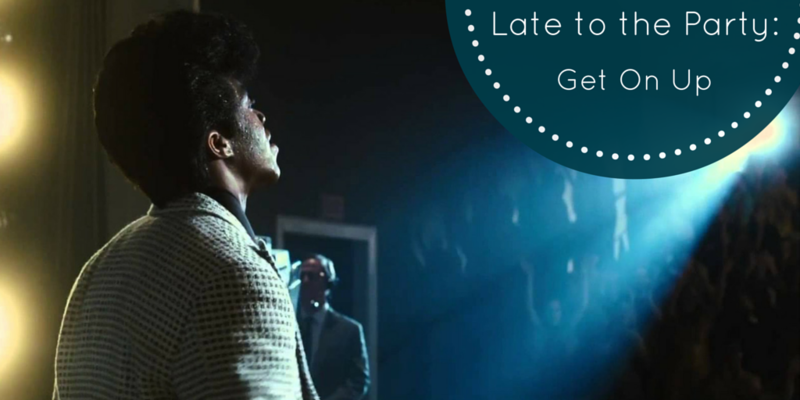 If it showed James Brown as someone who only had good points and no flaws, I probably wouldn’t have recommended ‘Get on Up’ to anyone. However, I probably would recommend it to someone who is interested in that sort of music; my goth friends are probably not the target audience. It doesn’t feel like the kind of movie I would watch multiple times, but I did enjoy it.